Wheel alignment service is very important because it can expand the life of your tires. Even the smallest alignment issue can result in an uneven tire wear. Once your wheels are properly aligned, it’s smooth cruising ahead, saving you tire wear, fuel, and ultimately...money. It's very important to perform regular tire maintenance, not just for the safety of your family, but also to ensure a long lifespan for your vehicle. You are advised to always consult with your owner's manual in terms of finding the proper tire size for the year, make and model of your vehicle. When you purchase new tires, they have to be in sets of 4, or at least in matching groups of 2 on each axle. This extends the life of your new tires and keeps your tire wear even. You can shop for new tires on our site by size, brand, or vehicle make, model, and year. Browse our extensive stock of new tires, and compare tire specifications and prices before you buy, to ensure you are getting the best new tires for your needs and budget. Your vehicle's weight is not distributed evenly to all four corners. If you leave all 4 tires just the way they are, some tires would eventually wear out faster than others. We know that tire rotation is an essential part of making your tires last longer. 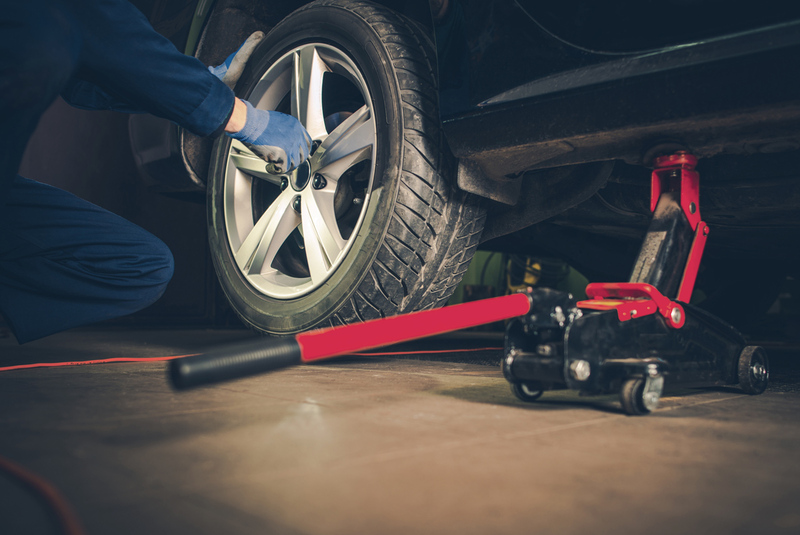 The tire rotation process consists of moving your tires from front to back, moving them from one side of your vehicle to the other or a combination of both, depending on what was done before and your vehicle. Tires need to be checked on a regular basis for damage, such as stones, nails or other sharp objects that may have penetrated the tire. They also need to be checked for bulges, tears or cuts that might be the result of contact with road hazards. If you have doubts about the condition of your tires, it's best to have them inspected by our certified mechanics. Our auto repair shop is known for performing top-not tire inspection service. Nitrogen tire inflation: Using nitrogen rather than air has its advantages. This is not a new idea. The United States military, airplanes and Nascar have all been using this technology for years. The idea is just new to consumers. What are the advantages to nitrogen for tire inflation? Better MPG. Nitrogen filled tires bleed pressure slower than compressed air. Properly maintained tire pressure is essential for tire wear and gas mileage. A low tire does not always look under-inflated. Longer tire life. A properly inflated tire wears slower. If a nitrogen filled tire does not lose pressure as quickly you can expect longer tire life. Oxidation is blocked. Oxygen causes oxidation. Oxidation can make rubber brittle, increasing the chance of a blow-out. Nitrogen in the tire blocks the oxidation of the internal rubber. Nitrogen is a green alternative. Nitrogen has the potential of being greener for the world. As nitrogen-filled tires maintain proper pressure, achieving better gas mileage, reduced emissions and longer tire life, the demand for tires could decrease. This means fewer manufactured tires, decreasing the use of natural resources. Also, manufacturers would decrease shipments of tires, which of course helps the environment.